ptometric enhanced eye care services demonstrate clinical effectiveness and are well received by patients and other stakeholders. Two research papers arising from the College of Optometrists Enhanced Scheme Evaluation Project (ESEP) and published this month, show that optometrists involved in community schemes are able to provide cataract, glaucoma and primary eye care services to patients safely and effectively. Such schemes can also result in cost savings and reduce the number of hospital eye service (HES) appointments. The other ESEP research paper, the first systematic review of the evidence on the effectiveness of these schemes, was published in the College’s international research journal Ophthalmic & Physiological Optics, in September 2016. It found that enhanced schemes reduce unnecessary referrals for suspected glaucoma in secondary care, and that UK optometrists are able to work safely in defined areas to maintain or improve the quality of outcomes for patients. Mike Bowen, Director of Research at the College of Optometrists said; “We are very proud to be in a position to share this research, which is part of the College’s Enhanced Scheme Evaluation Project and provides some of the most thorough evidence yet for the viability, effectiveness and potential cost-savings of these schemes. The College’s ESEP will be providing further, detailed evidence about the economics of these schemes, as well as the views of optometrists, ophthalmologists, patients and other stakeholders about their operation and an in-depth case study of a Glaucoma Referral Refinement Scheme in Manchester. 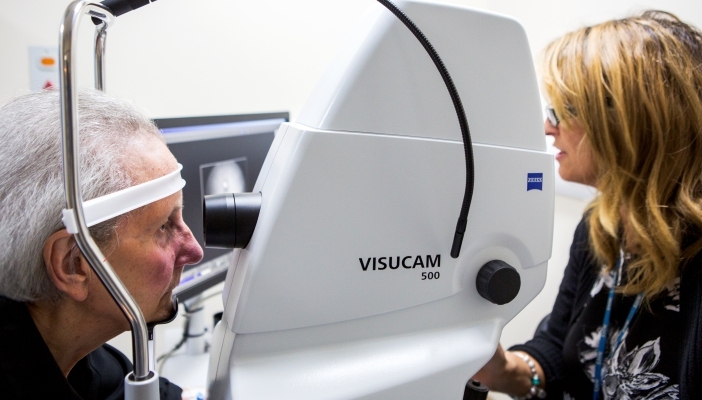 The National Health Service (NHS) General Ophthalmic Services (GOS) provides for routine sight testing across the UK through community optometry. In parallel to the availability of GOS, a number of community services are delivered by optometrists. Minor eye conditions scheme (MECS) is a recently introduced community scheme, which aims to reduce A&E and GP workloads. • Recent and sudden loss of vision. MECS do not provide sight tests. To find out more, please visit the College of Optometrists website.